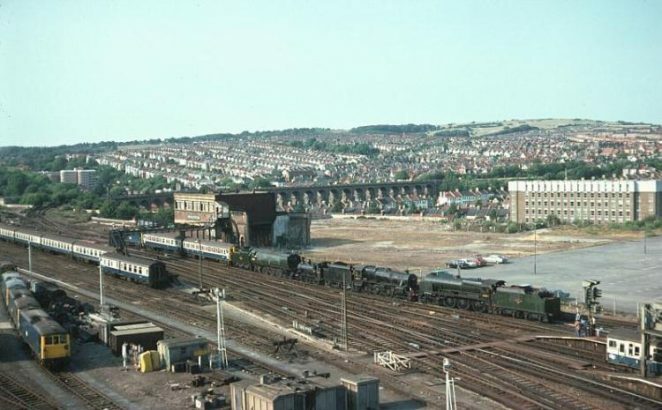 Brighton Locomotive Works site. The picture, from the early 1970s, shows the early use of the site as a car park. The old main signal box is still in situ. I believe the occasion was the removal of some of the locomotives that had been stored in the old "Pullman" Works to the care of the National Railway Museum. 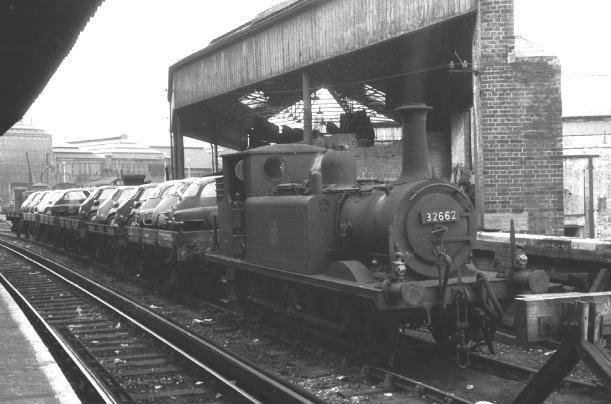 Prior to this many of these locos were brought out each year and placed on display in Brighton Station on their annual "Open Days", usually alongside the 'road' platforms. Isetta Bubble Cars leave Brighton Works. The picture, from around the late 1950s, shows a short train of goods wagons containing brand new "Isetta" bubble cars being hauled out of the Works site where they had just been built. The irony of this is that the "Terrier" tank locomotive hauling the train had itself been built in those same Works some 60 or 70 years previously! I ran into some nice lads from Zap Art the other day who are looking for ex employees of the Isetta factory, or other interested/informed people, who can tell them first hand stuff about it for an archive project. You can find them by googling “Zap Art”.